Jason Barry Binnion obituary. Carnes Funeral Home. Jason Barry Binnion passed away on November 25th, 2018 in Houston, TX. Born September 1935 in Paris, TX. He was preceded in death by his parents Irma and Jason Binnion; brother, David Binnion; and sister, Sue Bork. Barry worked diligently his entire life. He put himself through college, first at Midwestern State University and then at the University of North Texas. He graduated in 1959 with a bachelor’s degree in business administration, engineering and production management. He began his career with Williamson-Dickie Manufacturing Co. and later moved to Belize as a plant manager for that company. It was in Belize that Barry met Yolda, his future wife. They married in 1966 and shortly thereafter, started their family. Fatherhood was just one of the many areas where Barry excelled, a testament to his extraordinary mother who raised Barry, and his siblings Sue and David. Barry and Yolda moved to Wichita Falls, TX in 1974 where they remained until his pancreatic cancer diagnosis in February of 2018. A temporary move to Houston for treatment, allowed him to be closer to family. Throughout his life, he strove to help others; yet knew doing so was far easier said than done. Barry believed one of the best ways to help others was through education, particularly STEM (science, technology, engineering, and math). This philosophy and his selflessness will continue past death as he chose to donate his body to the UT Health Science Center at Houston, in order for others to further their education. He was a voracious reader, entrepreneur, statesman, and truly beloved family man. Survivors include his beloved wife of 52 years, Yolda Binnion; three sons: Ethan, Adrian, and Kris Binnion; eight grandchildren: Eric, Matthew, Aaron, Alden, Jason, Wyatt Binnion, Bailey and Noah Richards. Special thanks to the staff at MD Anderson and Houston Hospice for their loving care. Also, heartfelt thanks to all of Barry’s educators, business partners and friends for shaping him into the man he became. 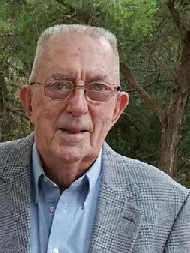 Please share your memories of Barry with the family at https://obit.carnesfuneralhome.com/ A memorial service is planned at Hampton Vaughan Crestview Funeral Home and Memorial Park, 1917 Archer City Hwy, Wichita Falls, TX 76302 at 10:00 AM on December 7th, 2018.